A highly regarded playwright, Solis' new collection of pocket-size memoirs is a uniquely personal project that brings to life vivid memories and misadventures from his youth. If we were living in the Southwest, it probably wouldn’t be necessary to begin this review with an art history mini-lesson. But chances are many of us in the upper left corner of the country may not be familiar with the folk-art tradition known as retablos. Retablos are devotional artworks with origins in Old World Catholic traditions, popularized in Latin American countries — particularly Mexico. A retablo depicts a personal problem or injury, along with the intercession of a holy presence that assists in overcoming the affliction. Often painted on metal, retablos are typically rustic, colorful works that serve simultaneously as a testament of suffering, a supplication to divine power and an expression of gratitude. 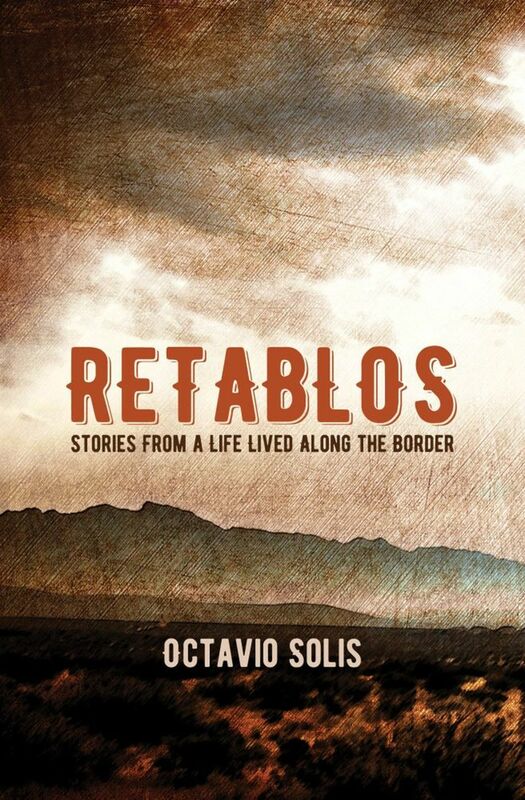 Which brings us to “Retablos,” a new collection of pocket-size memoirs by Octavio Solis. For these short pieces, the author selects vivid memories or misadventures from his youth and distills them into tableaux that evoke disparate emotions including delight, grief and even terror. Solis’ name might ring a bell for theatergoers among us. He is a highly regarded playwright whose works about transcending boundaries and expectations have been seen from coast to coast. In the Pacific Northwest, his plays have been produced by the Oregon Shakespeare Festival, the Strawberry Theatre Workshop, Cornish College of the Arts and the University of Washington drama school. But “Retablos” is a different and uniquely personal project. A baby boomer, Solis was born in El Paso, Texas. His teenage mom, Mexican by birth, had the paperwork required for living in the United States, but his dad was undocumented. Decades later, Solis’ parents became citizens, but in those early years, they worked manual-labor jobs and dealt with poverty, insults and the INS as they raised their U.S.-born kids. In these essays, we see these efforts through their young son’s eyes: scraping by to pay the bills, monthly excursions back across the Rio Grande to economize on groceries and haircuts in Juárez. We witness his parents’ kindness, but also their shortcomings as they try to teach their children how to navigate two cultures, something they themselves are learning. It’s a complicated and sometimes contradictory blend that includes scolding, comforting, advising, punishing and refereeing squabbles — and bringing home a Rand-McNally globe so they can ponder the world. Beyond these scenarios, Solis recreates pivotal moments when he asserted his independence from parental oversight to engage in inevitable rites of passage. He adopts and sheds personas like different coats. In one phase he’s playing air trumpet like Herb Alpert; another day he’s a young caballero dancing at a quinceañera. He breaks rules and hearts. He fights and he fails. He falls in (often unrequited) love. In retrospect, many of these events could be dismissed as a motley assortment of potholes and speed bumps along the road to maturity. But Solis coaxes us into reconsidering — they are also significant milestones. But Solis also learned not to use Spanish too proficiently when speaking with the INS agents patrolling his neighborhood, so as not to be mistaken for an undocumented immigrant. And, too late, he realized that some slang words were actually slurs — after using those words heedlessly and inadvertently hurting people, sometimes irrevocably damaging his ties with them. Ultimately, these early experiences with life and language have led to the development of a special and powerfully compassionate voice. Solis says that he wrote this book “to see how that skinny brown kid riding his bike out there in the desert made sense of his complicated, deeply beautiful and troubled world.” In these disarming retablos, he offers readers an expansive way of regarding the troubled world we live in now.